Beverly Hills homes for sale in zip code 90210 – one of the most recognized cities and zip codes in the United States, if not the world. The city of Beverly Hills was incorporated in the year 1906, and lies within the greater Los Angeles area bordered by West Hollywood on the east, Sherman Oaks and Studio City on the north, Holmby Hills and Bel Air on the west, and the city of Los Angeles on the south. An interesting fact that many outside of the Los Angeles area may not realize is that some of the area surrounding Beverly Hills that lies outside of the actual Beverly Hills city limits is known as “Beverly Hills PO”, or “Beverly Hills Post Office”. These are homes that while not within the Beverly Hills city limits, still have a Beverly Hills, 90210 mailing address even though they sit within the city of Los Angeles. 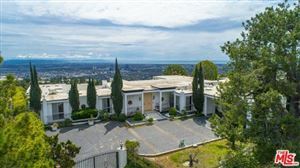 This may be all semantics to the outside casual observer, but not to those in the know – home prices can jump drastically from one side of the street to the other to be within the city limits of Beverly Hills. Aside from the fact that Beverly Hills is a world-class city offering the best in dining, shopping and entertainment, Beverly Hills is also home to some of the most unique properties in the world. As you drive through the residential areas of Beverly Hills, you will see everything from high-tech Architectural homes to Mediterranean estates, to French Colonial, to Mid-century modern, to sprawling palaces and mansions, all within the same block. If you love beautiful homes and interesting architecture as much as I do, it is worth taking a few hours to drive around the area and check it out for yourself! Homes within the city of Beverly Hills can vary greatly in price depending on the location, size of lot, size of the home, and other features. However, it is rare to find homes for under $1,000,000 anywhere within Beverly Hills. Large estates can typically be found north of Sunset Blvd in the hills where there tends to be more available land, however there are good sized properties to be found all throughout the community. There are also many high end luxury condominium developments around the city for those seeking a vacation property, or for those who don’t want the inconveniences that can go along with maintaining a detached residence. Below is a partial list of Beverly Hills homes for sale, which is updated daily. If you would like more information on any of these properties, please give me a call at (310) 717-2232 or you can leave your contact information on my contact form and i’ll get back to you within 24 hours. 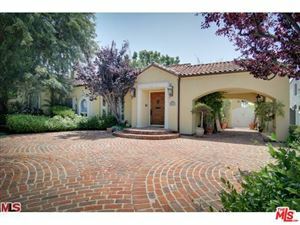 See all Beverly Hills, CA Homes For Sale.